Do you ever just completely forget or go blank when it comes to remembering your MoT due date? There is a lot we have to remember nowadays, how many passwords do you have for all the different online platforms you are signed up to in work and at home? Never mind all the pin codes for phones, tablets and bank cars etc. It is easy to forget simple dates when you expect to get a reminder for, especially when you are in a home with two cars, but even if you get one reminder in the post is that enough? For the most of us, no! When it comes to our cars there are a lot of important dates to remember not just your MoT due date. Drivers also need to know roughly when the car will need to be serviced? When the car insurance is up for renewal and when your car tax is due? It can be overwhelming, there are so many dates and schedules to remember. There can also be a pretty hefty penalty involved if an MoT date is forgotten and passes by without notice. With MyCarNeedsA.com one of the many benefits of being signed up to the comparison website is that we provide a MoT reminder service and an entire key date facility to make sure you never forget your MoT due date. Then check all your MoT history, including due date. You can also set up MoT reminders to notify you when your MoT is due in future on your MyCarNeedsA.com account. Go to 'Key Dates and Info' and enter in all your key dates. Did you know that £35 million has been issued in fines for missed MoT dates across the UK in the last 5 years, which is a substantial amount of penalties given out for an MoT test that costs roughly £30? 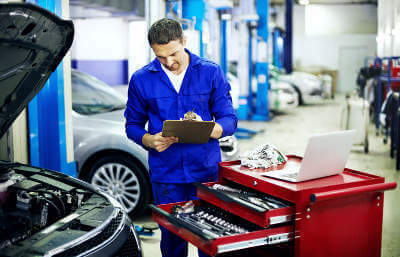 Drivers can be fined anything up to £1,000 for not having an up to date MoT test, so knowing your MoT due date is important in order to save you money and hassle in the long run. If you are signed up to MyCarNeedsA.com there is a handy section in your customer ‘my account page’ called ‘key dates & info’ in here, you can type in your reminder for all your important dates for your car. Including your MoT due date, car tax, service or brakes due date and we will send a reminder 6 weeks prior to your date, then 4 weeks if you haven’t booked and then again 2 weeks before that again. There are three reminders in total to ensure you do not miss it, you can also retrieve quotes online for your MoT through MyCarNeedsA.com. So once you see your reminder you can automatically request a quote for your MoT all on the one website. Your MoT date is based off the date your car was registered so when you give us your reg number it lets us know when your MoT due date is, we add this into your account information so help make the process simple. To sign up all you need to do is put on a job on MyCarNeedsA.com and your profile will be automatically created. Never miss an important date again!